Almost a decade ago, a remixed video using clips from the original He-Man and the Masters of the Universe animated series became a viral hit. In the video, He-Man's alter ego, Prince Adam, performed a cover of 4 Non Blondes' "What's Up? ", which led to the "Laughing Prince Adam" meme. At this year's Comic-Con, Super7 is immortalizing that meme as an exclusive figure. The Laughing Prince Adam action figure features a new head sculpt that recaptures the endlessly looped expression of joy. Adam is also getting a new pink power sword and rainbow glitter packaging. To get this figure, fans will have to venture away from the San Diego Convention Center and visit the Hordak's Lair pop-up store at 701 8th Avenue. Hordak's Lair will only be open on Wednesday, July 18 and Thursday, July 19, so expect to see long lines if you want to pick this one up. YouTube user ProtoOfSnagem posted this video back in 2010, and it's racked up almost 140,000,000 views. However, it was originally created in 2005 by a group of animators going by the name "Slackcircus." You can find Slackcircus' video, which has also has a breakdown on the history of the meme, here. Amazingly, the original video only has 1.7 million viewers since it was posted on YouTube in 2007. 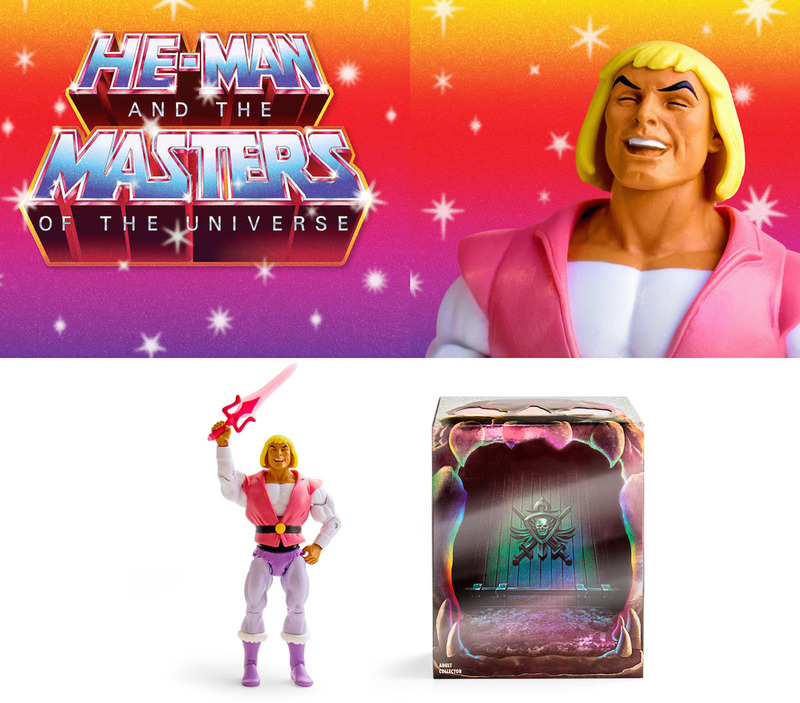 It's currently unknown if Super7 plans to release the Laughing Prince Adam figure after Comic-Con, but we suspect it will show up again at some point. Are you going to brave the Comic-Con lines to pick up Laughing Prince Adam? Let us know what's going on in the comment section below! Pick up Doctor Aphra and her murder droids. Look at this wrinkly Yoda bust. An exclusive Thrawn cover that is way too hot.